Maddie Rae's Slime Bash is Coming to St. Charles! Maddie Rae’s Slime Bash is Coming to St. Charles! Are your kids into slime? Then you won’t want to miss Maddie Rae’s Slime Bash at Pheasant Run Resort in St. Charles on March 30-31, 2019! It’s two days of slime fun and a celebration of the entrepreneurial spirit. 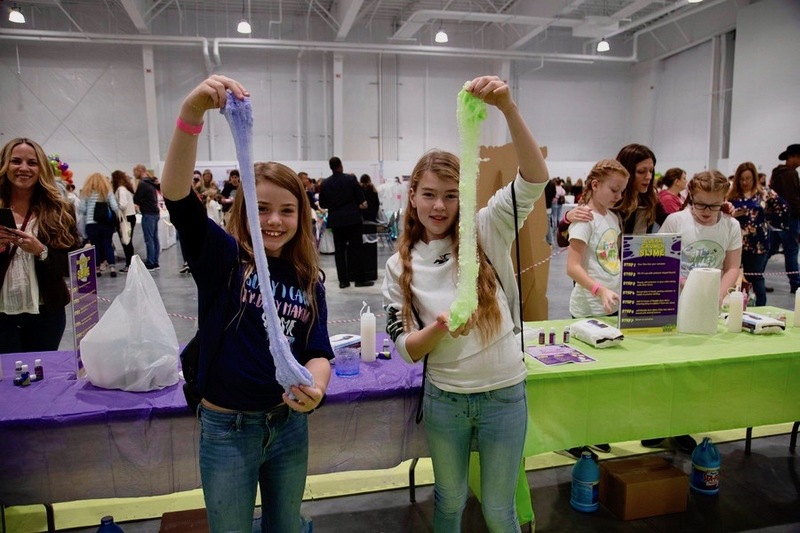 This event is the 4th Slime Bash Team Maddie Rae has held and is the world’s largest slime convention, attracting slime enthusiasts from all over the world. This article is sponsored by Maddie Rae’s Slime Bash and you will not want to miss the 50% off discount code that they gave us to pass on to you! Maddie Rae’s “Pop Up Shop:” purchase newly released slime products and a Limited Edition, VIP Commemorative Poster! Mega Bash Ticket: $85, Two-day pass, featuring 1 Hour early admission on Saturday, plus entry to an after-hours VIP party on Saturday night from 7-9pm. Looking for a discount for Slime Bash? You came to the right place! Enter the promo code FAMILYDISCOUNT to receive 50% off two-day general admission. Here’s a step by step for how to get the discount: Click here to be taken to Eventbrite. When you click the green “Tickets” button to enter how many two-day general admission tickets you would like, there’s a link in the top right corner that says “Enter Promotional Code.” Enjoy! 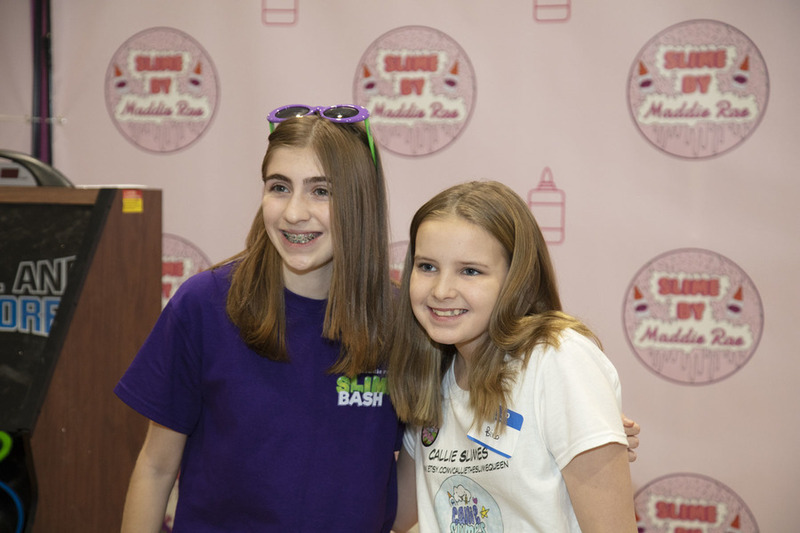 Maddie, a 13 year old from Connecticut, launched Maddie Rae’s Slime Glue after having trouble finding glue to make slime. Her dad helped her create her own brand of glue, which came out in March of 2017. Since then, her line has expanded to offer slime storage jars, food coloring kits, custom glitter, pigment powder, charms, and more. With a team of over 100 people, Maddie Rae broke the Guinness World Record for making 13,820 pounds of slime! This impressive feat took place on November 4, 2018 at the New York City Play Fair. You can check it out below- it’s pretty entertaining! Be the first to comment on "Maddie Rae’s Slime Bash is Coming to St. Charles!"